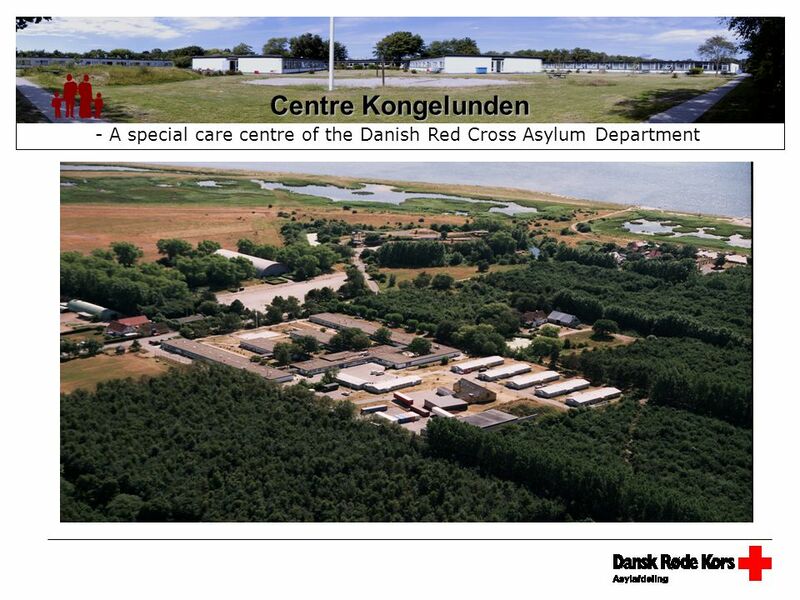 Centre Kongelunden - A special care centre of the Danish Red Cross Asylum Department. 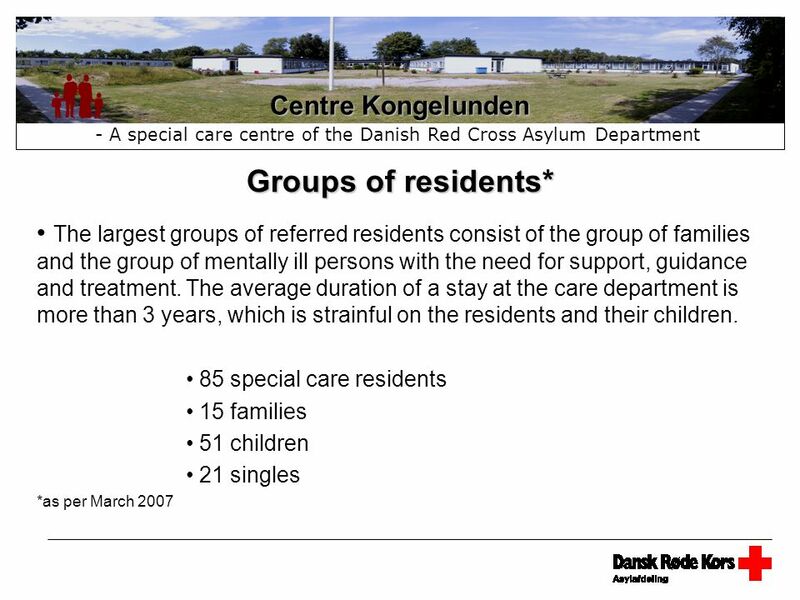 3 Centre Kongelunden - A special care centre of the Danish Red Cross Asylum Department Criteria for recommendation of special care Parents with mental illness, who are not (or no longer) capable of taking care of their children. Families, where the neglect of the children’s care is an imminent risk. 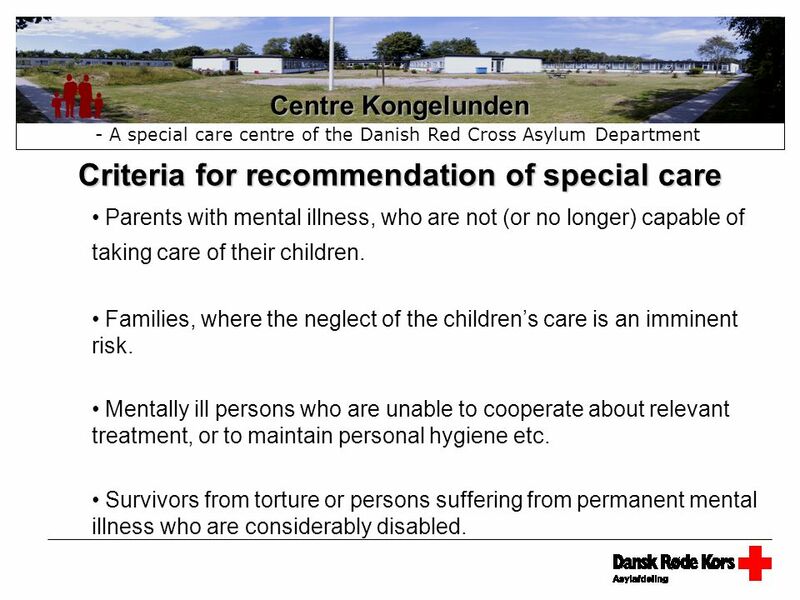 Mentally ill persons who are unable to cooperate about relevant treatment, or to maintain personal hygiene etc. Survivors from torture or persons suffering from permanent mental illness who are considerably disabled. 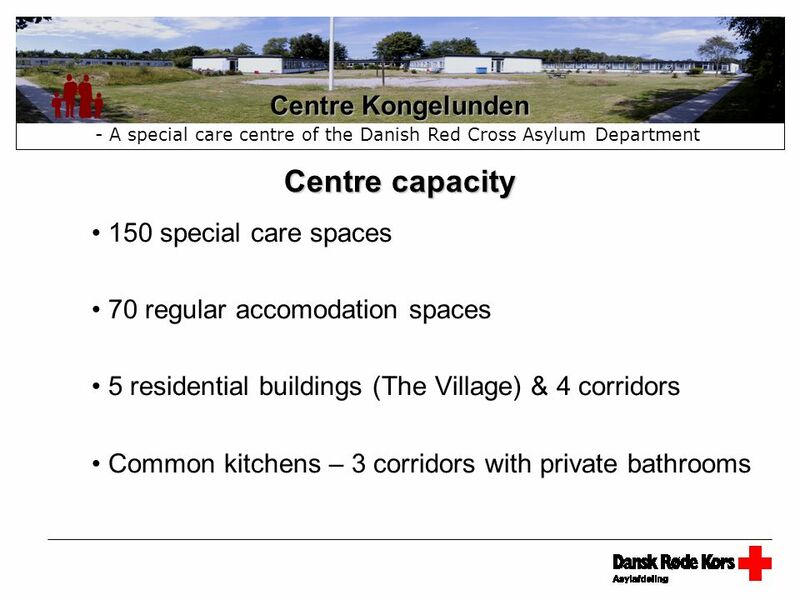 Download ppt "Centre Kongelunden - A special care centre of the Danish Red Cross Asylum Department." Discussion topics Dr Layth Delaimy. Assessing suicide risk Why do we assess? How could we intervene? Should we prevent suicide? Ethical Dilemmas. Access to HIV treatment Issues of working with HIV positive refugees and asylum seekers Linda McDonald MA MSc RN. Teresa Blake BL 27 th March  Immigrant children - responding appropriately  Child Protection and Welfare law  Specific issues in representation. The Care Act 2014: the new legal framework for care and support Tim Spencer-Lane INS Open Day – 4 July 2014. By Janet Bowen. WHAT IS DISCHARGE PLANNING Discharge planning is the process by which the patient is assisted to develop a plan of care for ongoing maintenance. Assessment The registered medical practitioner (RMP) employed by an approved mental health service or the ‘mental health practitioner’ (MHP) assesses the. PILOT INVOLUNTARY TREATMENT PROGRAM Kevin Hedge Sydney West Area Health Service Centre for Addiction Medicine Nepean Hospital. Dr Wallace Brink Consultant in Forensic Psychiatry Devon Cluster Prisons. Central Receiving Center Update (CRC) 5 Years of Operation June 10, 2008. Juvenile Corrections. Correctional options Probation Intensive probation Day treatment Group homes Wilderness programs Foster care Shelter care. Mental Health Legislation for those under the age of 18 Greg Richardson Consultant in Child and Adolescent Psychiatry Lime Trees CAMHS, York. 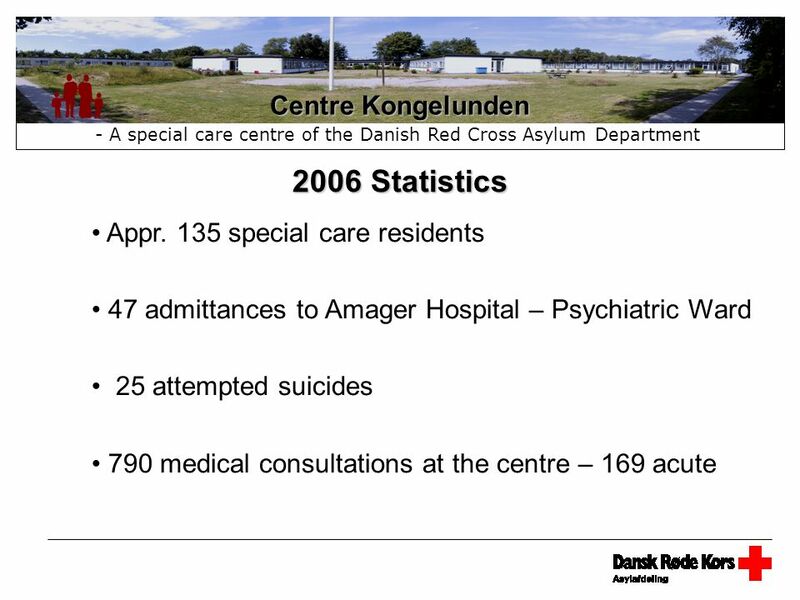 MIGRANT ACCESS TO HEALTHCARE – THE ISSUES Don Flynn. 'Entangled interests: modelling the legal rights of children and parents'. Jonathan Montgomery Professor of Health Care Law. Model Developed by Loreto Day School Sealdah for working with Child Domestic Workers supported by Save The Children. 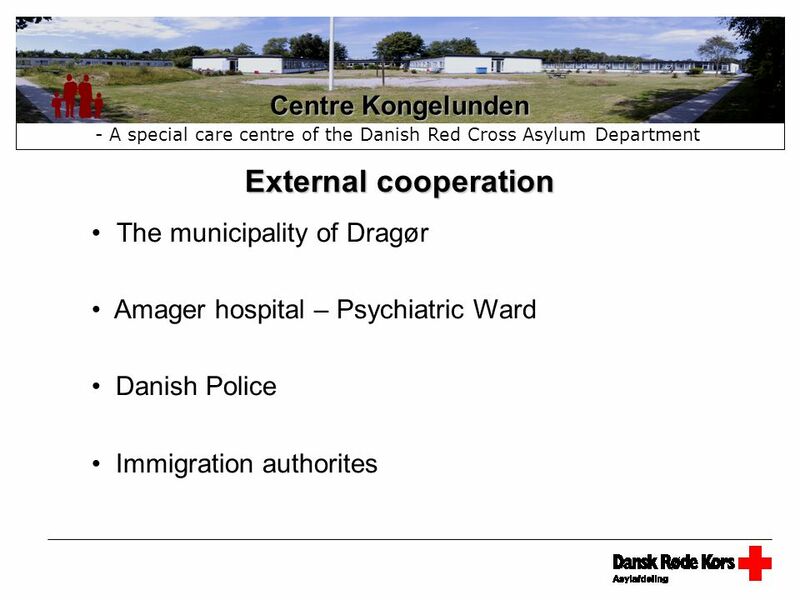 TREATMENT CENTRE.  Principles of treatment  treatment goals - abstinence and harm reduction  Types of treatment  medical treatment  psychological. ANTARAGRAM- THE OASIS FOR TROUBLED MINDS ‘ANTARAGRAM’ means ‘ANTARA VILLAGE’ and in many ways is not just a hospital but a community, situated on the edge.